Street Machine Challenge is the toughest street car event on the Australian drag racing calendar and the three-day version returns to Queensland this 4-6 May. 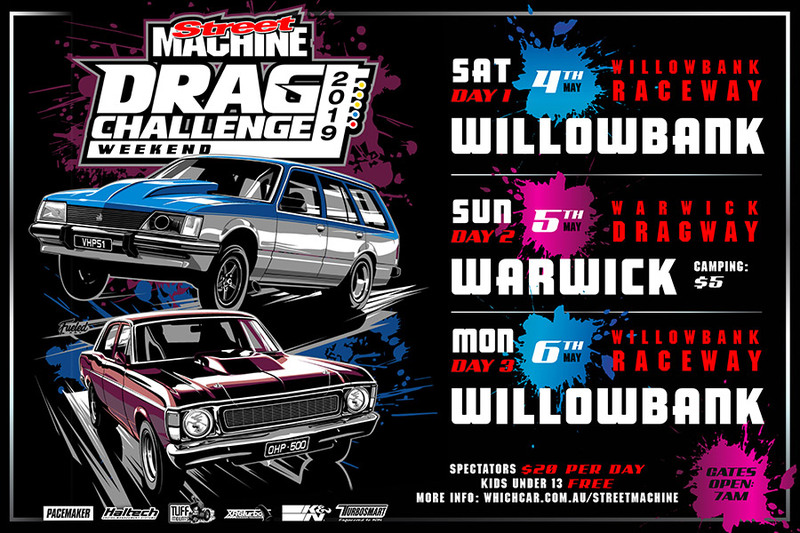 Over a hundred street cars from all over Australia will be competing. 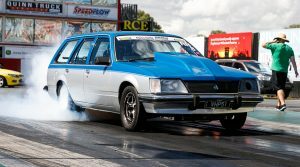 While the majority of entrants will come from Queensland there are plenty of entrants from New South Wales and Victoria, plus a few from South Australia and even Tasmania. 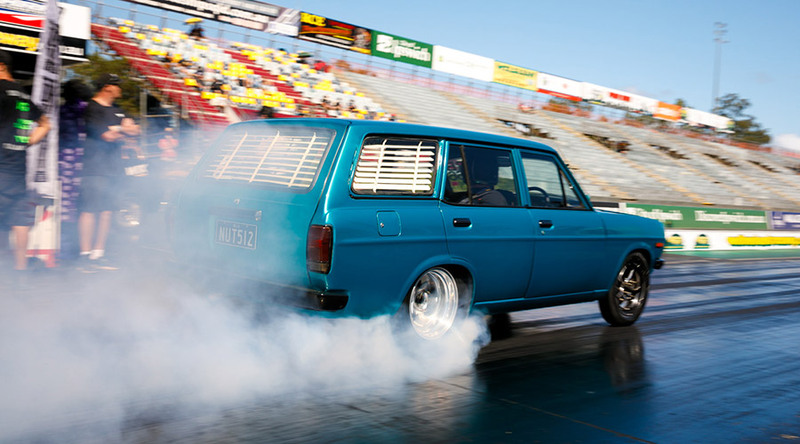 The quickest cars run in the seven-second zone! 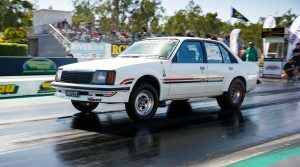 Drag Challenge Weekend isn’t just about speed however; the entrants will still have to negotiate a 700km long road course as they work their way from Willowbank to Warwick Raceway and back to Willowbank. The premise simple; every entrant has to make at least one pass at each track. 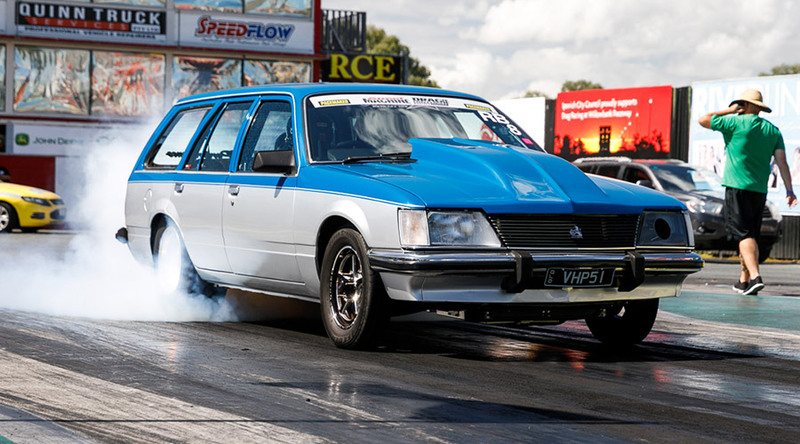 It’s three days, three tracks and plenty of road miles in between with no car trailers or support vehicles; Drag Challenge Weekend is a gruelling event that places huge demands on both entrants and their vehicles. 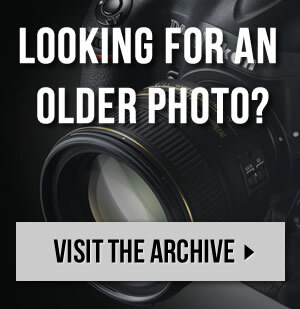 Entries are still open and there are eight classes to choose from. For those who want to just come along and check out the action it’s only $20 per day and kids under 13yo are free. Or buy a weekend pass for $70 and score a free t-shirt.